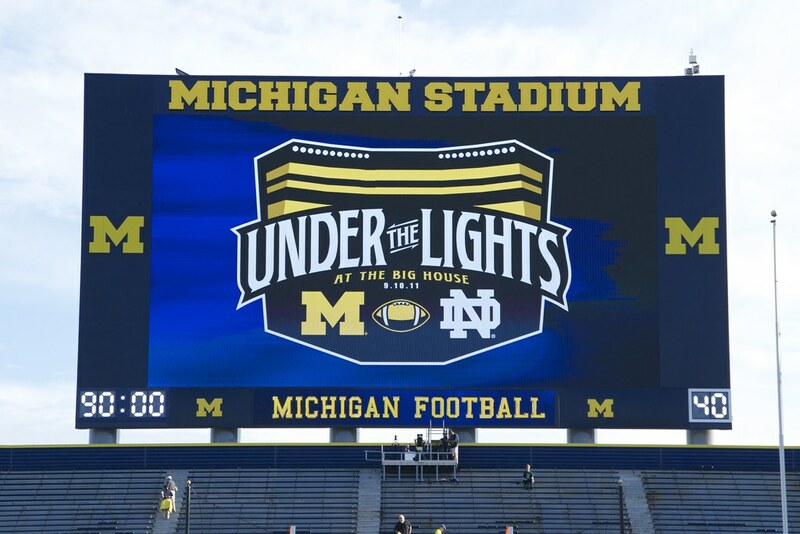 ANN ARBOR, Mich. -- The University of Michigan Athletic Department announced today (Tuesday, Sept. 25) that the football series with Notre Dame has been cancelled for the 2015, 2016 and 2017 seasons. The Irish informed Michigan director of athletics Dave Brandon prior to kickoff of the match-up Saturday (Sept. 22) in South Bend, Ind. "The decision to cancel games in 2015-17 was Notre Dame's and not ours," said Brandon, the Donald R. Shepherd Director of Athletics. "We value our annual rivalry with Notre Dame but will have to see what the future holds for any continuation of the series. This cancellation presents new scheduling opportunities for our program and provides a chance to create some new rivalries." The Wolverines and Irish have met on the gridiron 40 times, the most for Michigan against any non-conference opponent. Michigan holds a 23-16-1 all-time record against Notre Dame, one of the U-M's three main rivals along with Michigan State and Ohio State. The final two games in the rivalry will take place on Sept. 7, 2013, at Michigan Stadium, and the following year on Sept. 6, 2014, at Notre Dame Stadium. Both schools agreed to a break in the series during the 2018 and 2019 seasons. The future of games scheduled to be played in 2020 and beyond has yet to be determined. More on the fallout shortly.